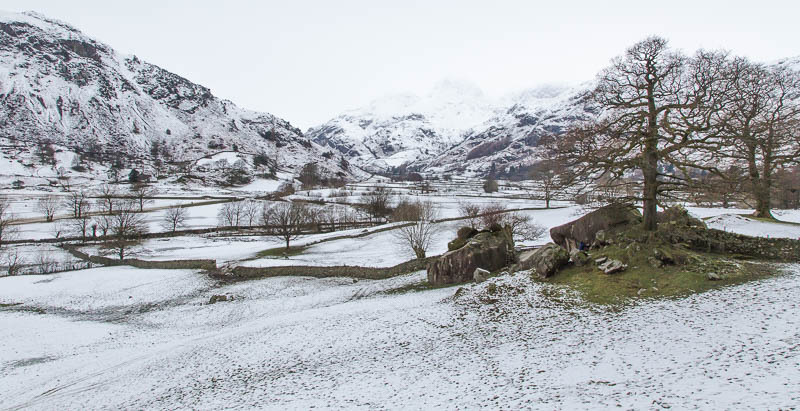 January 2016 - A few shots from a short drive up the Langdale valley. Langdale Pikes in the distance. January 2016 - A wider view. 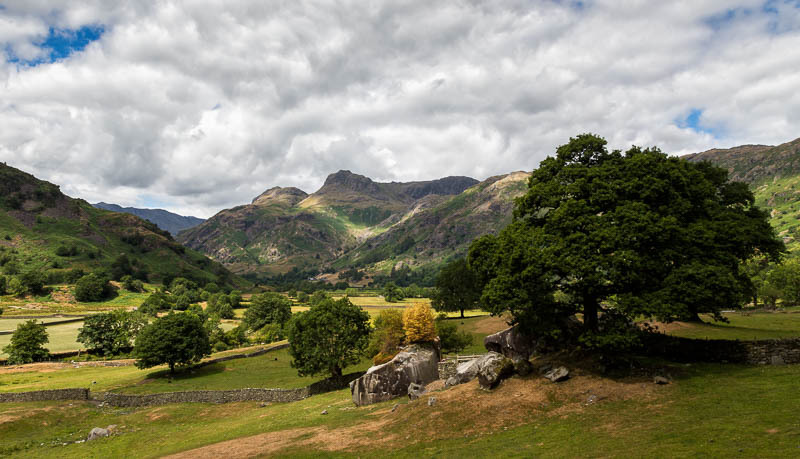 July 2018 - Looking up the valley towards the Langdale Pikes. The rocks in the field are used a lot for bouldering. 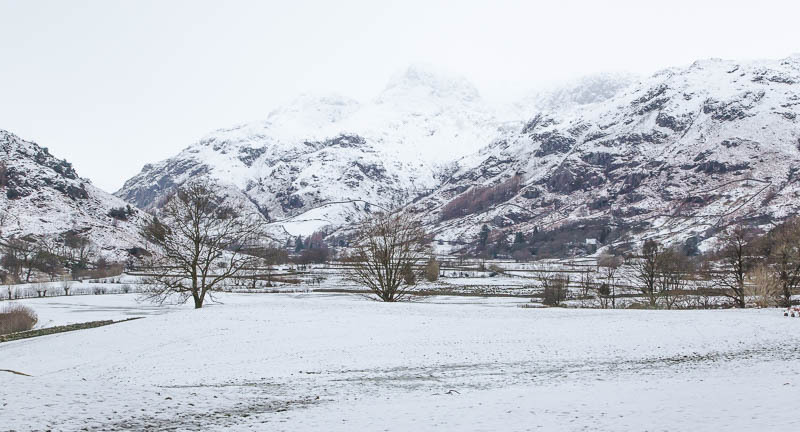 Contrast this photograph with the one above taken from the same spot in the snow in January 2016. 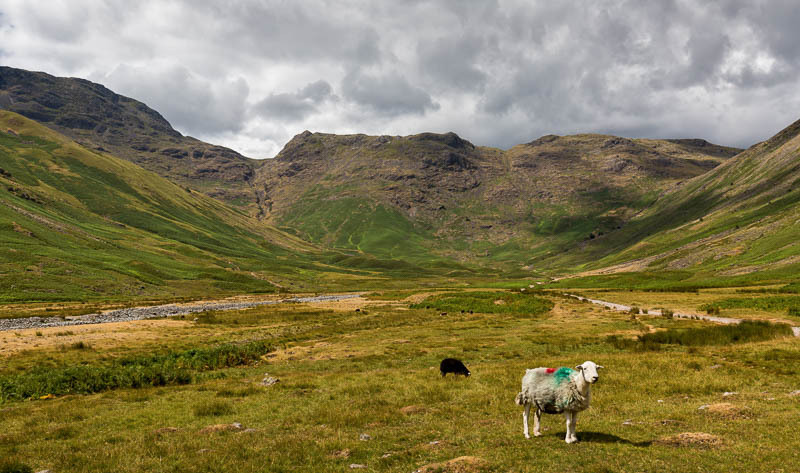 July 2018 - A curious Herdwick sheep as we walk up Mickelden. Rosset Gill can be seen just left of centre dropping down from the fells. July 2018 - The head of Mickelden with the Pikes on the left. Time to turn around and head back to the car. An old sheep pen just behind us.